I loved to disappear into stories and drawings." Eliza Lucinda Rogan is an illustrator, muralist, painter, and writer. She was born in Los Angeles and grew up on a farm in rural Virginia. She studied at The School of the Art Institute of Chicago, Warren Wilson College, and received a B.A. in Studio Art and a Masters in Teaching from the University of Virginia. 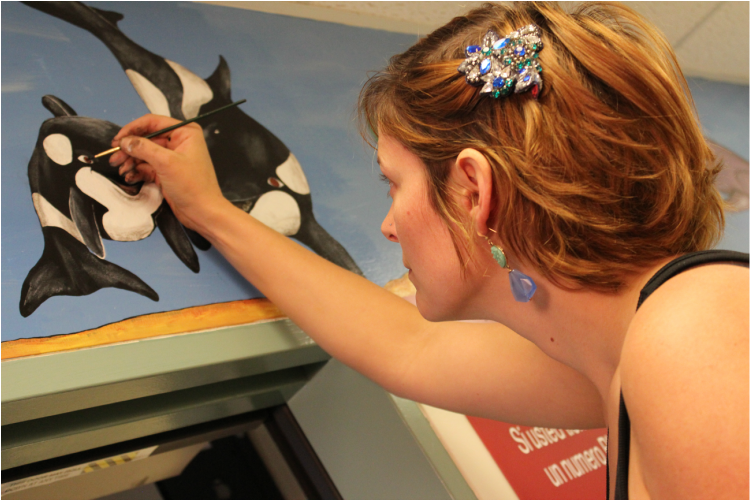 Her recent commissioned murals include the UCSF/San Francisco General Hospital and cultural institutions such as the Wheeler Opera House in Aspen, CO and the Sturgis Motorcycle Rally, and other murals throughout the United States. Eliza and her musician-husband, Josh Rogan, travel on the road in their 1962 Airstream with their infant daughter, Ramona, and two dogs, Harley and Wally. She lives in in the high Rockies in the historic town of Redstone, Colorado.